North Korea is a country known to be very closed from the outside world. Many unique things in the country led by Kim Jong-un. 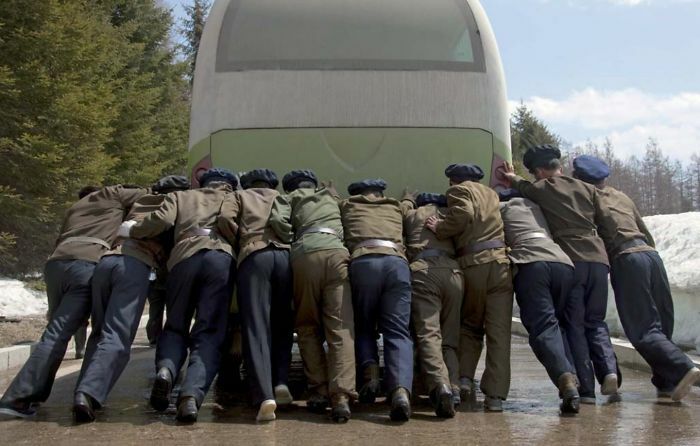 To visit North Korea is not as easy as visiting other countries. 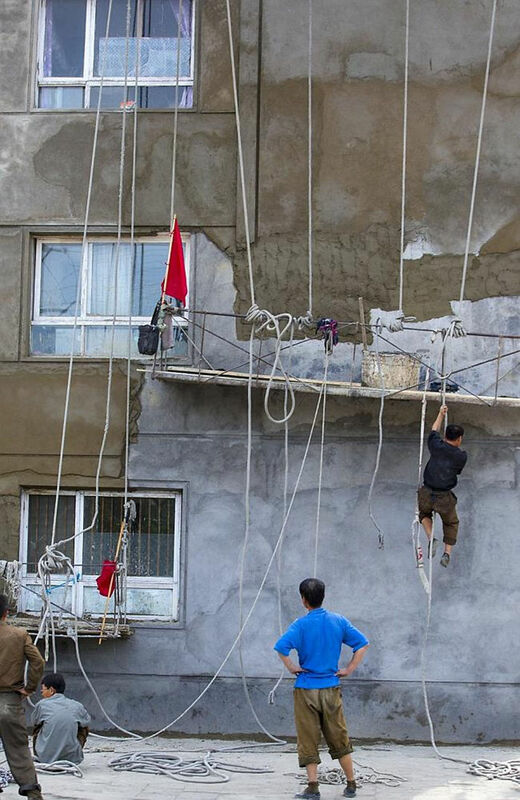 There are many conditions that must be met, including prohibited taking photos without government permission. One of the French photographer ventured to keep perpetuating the moment in the country. The man named Eric Lafforgue has been back and forth to come to North Korea, but this time he was blocked from the country for good. Yes, the article he published photos that are considered prohibited by the North Korean government. Each photo is why there is a forbidden reason and no outside world knows. Curious about the shots? 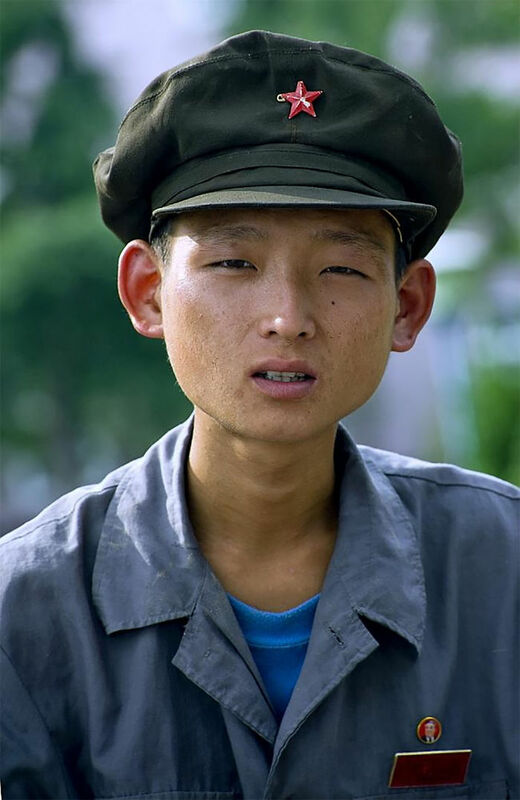 Here are 20 illicit portraits of North Korea that makes the photographer blocked forever to enter North Korea. 1. 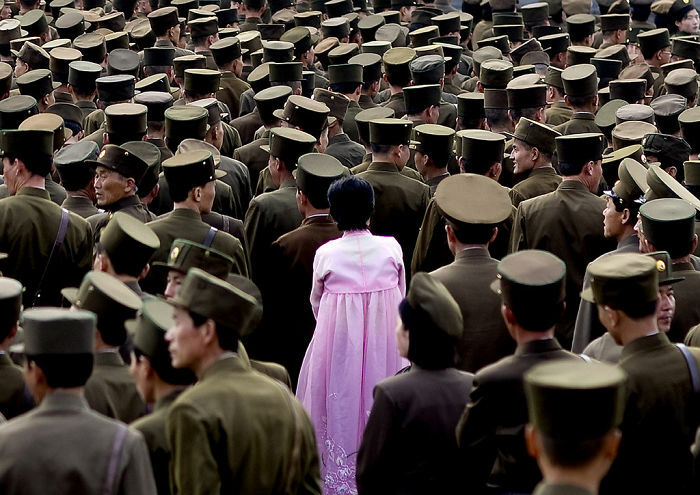 A woman stands in a crowd of soldiers. This photo is banned because the government does not allow photographing the army. 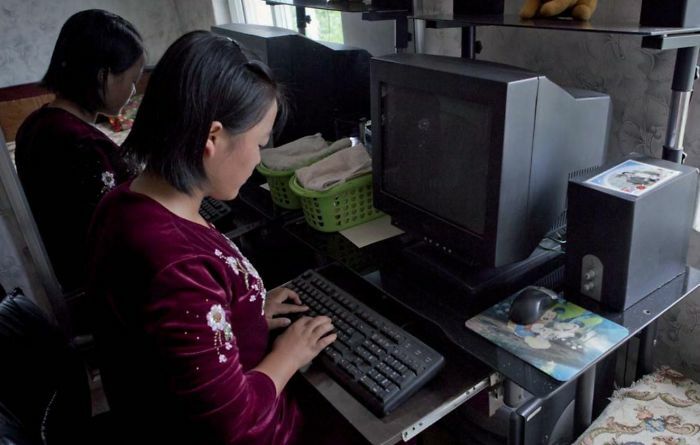 **2. the guides were happy to let the photographer take pictures to show the world that children in North Korea have computers. But, the photos show that the computer was turned off. 3. 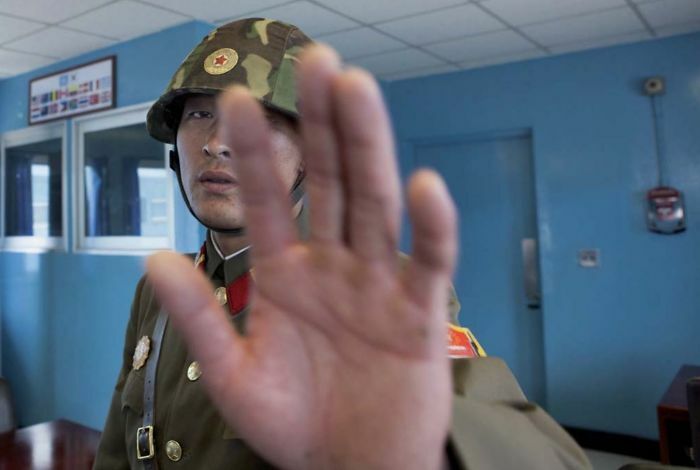 Taking pictures of the relaxed soldiers is also strictly forbidden in North Korea. 4. 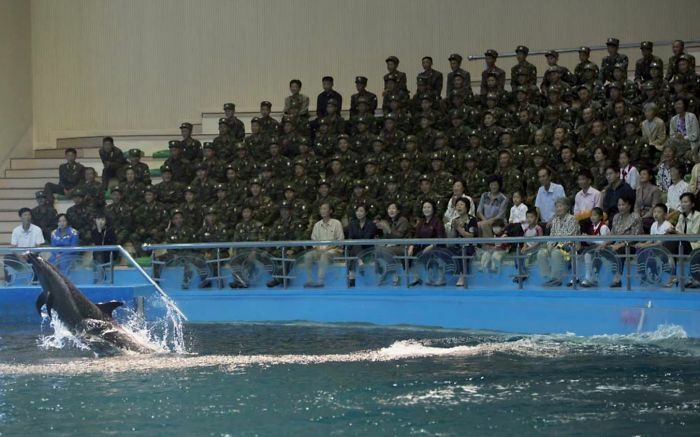 While visiting a dolphin show in Pyongyang, tourists are allowed to take pictures of the animals. But the army was the one who creates 99% of the crowd at the show. 5. 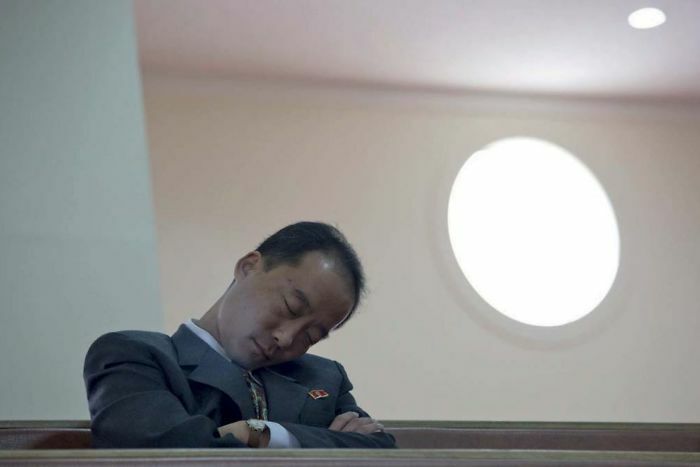 In the Christian church, this official was asleep on a chair. Tourists are prohibited from taking pictures to show officials that looks bad and not authoritative. 6. 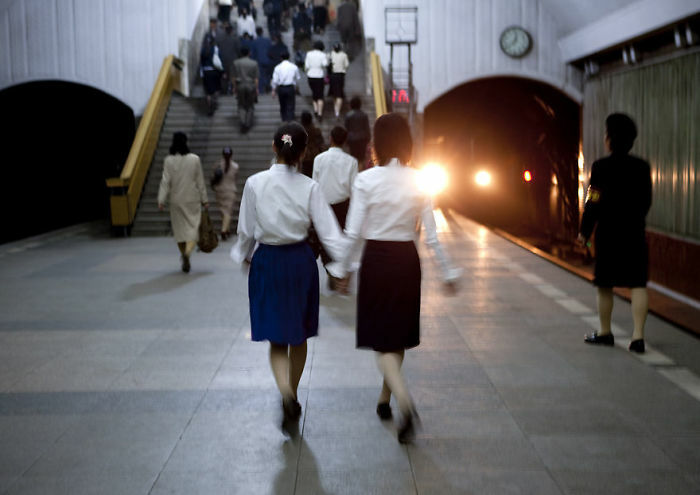 Pyongyang Subway System is the deepest in the world because it doubles as a bomb shelter. Someone saw the photographer while taking picture this place and told to remove it because it showed the tunnel. 7. These homes and families who lives there are really chosen by the government. 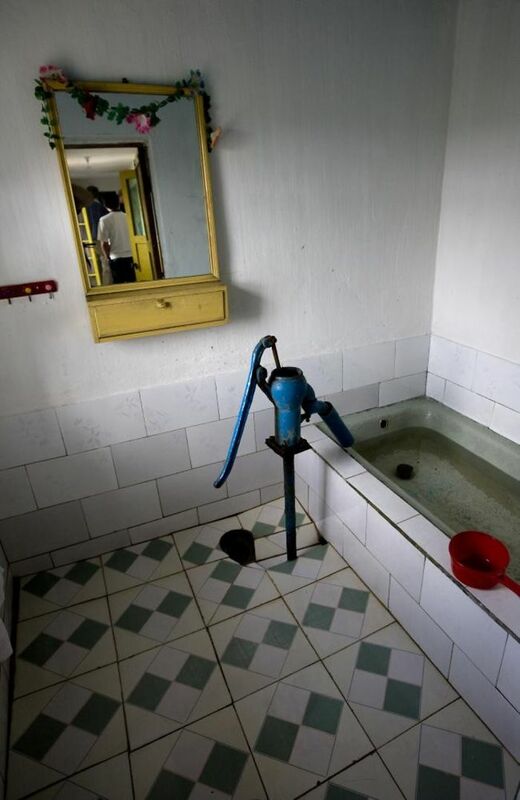 However, the bathroom still uses a water reservoir container that is out of date. 8. Images like this had circulated outside in the West. 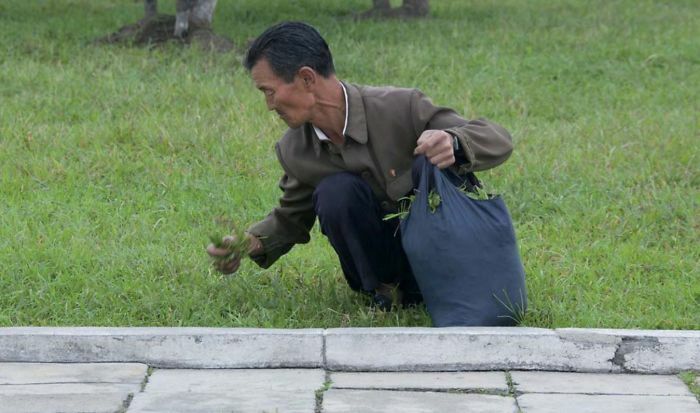 Description on photos like this often explains that North Koreans eat grass from the garden. The guide will be very angry if you take this picture. 9. 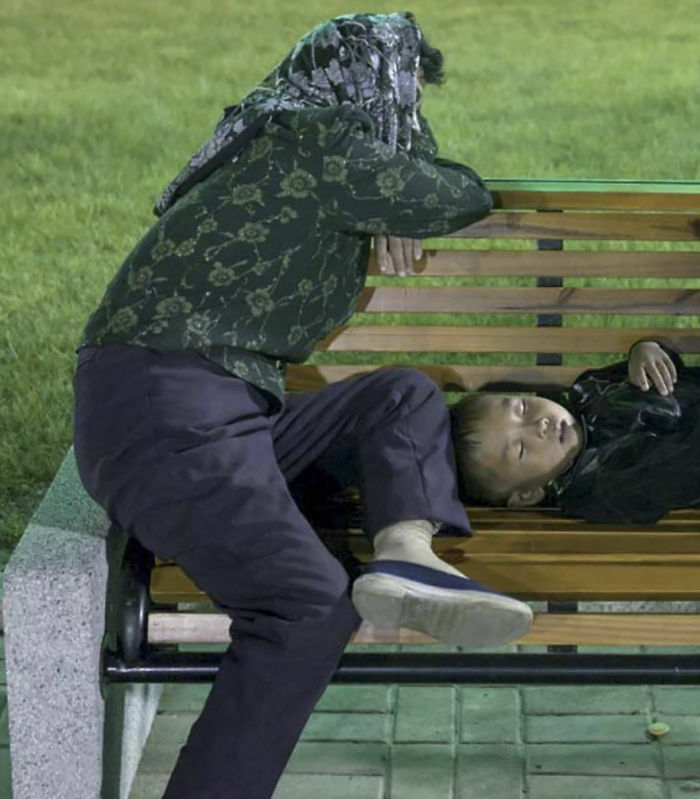 The photographer took this picture from a tired mother and a sleeping child on a bench. The photograper was asked to immediately delete this photo because it turns out they are homeless. 10. 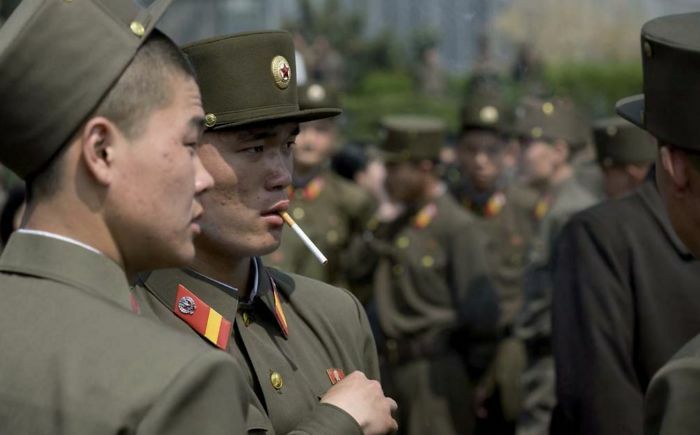 Something you often see in North Korea, but it is strictly forbidden to take it. 11. 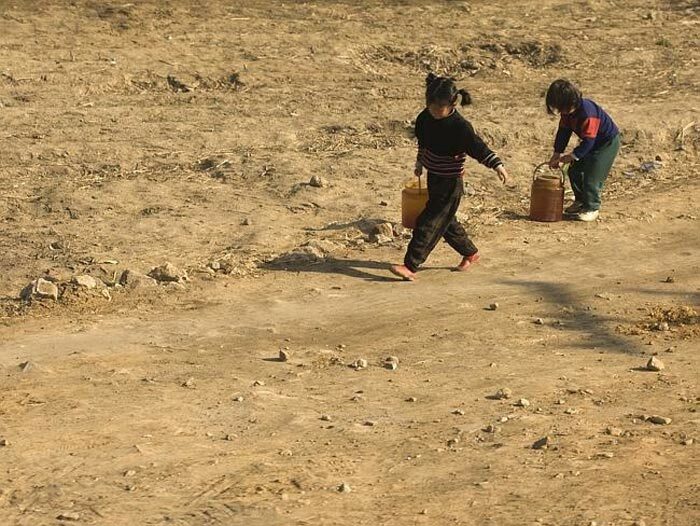 Showing poverty is prohibited, but showing wealth is something taboo in North Korea. 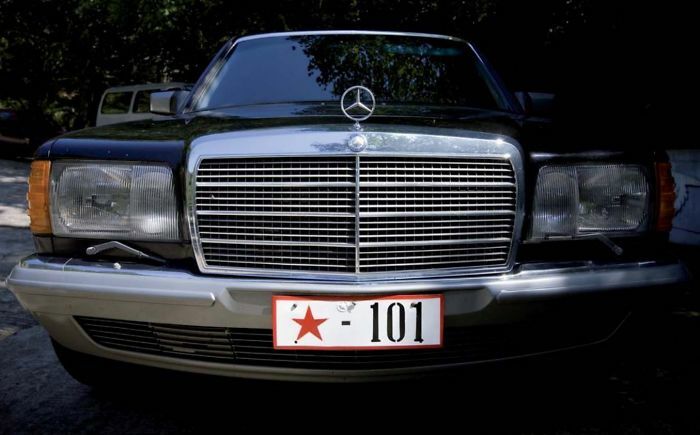 In a park on a Sunday afternoon, The photographer found a car from one of Pyongyang's elite. The owner was having a barbecue. 12. Photographing people suffering from malnutrition is also strictly prohibited. 13. This is not a circus, they are workers in the country with low security standards. 14. Never shoot a picture where people do silly things in front of a portrait of Kim's ruler. 15. The North Korean government hates it when the photographer took this picture. Even when he explained that poverty existed all over the world, including in his country, France. They forbid him to take pictures of the poor. 16. Taking pictures of others is easy, but if you come too close to the army, they will stop you. 17. 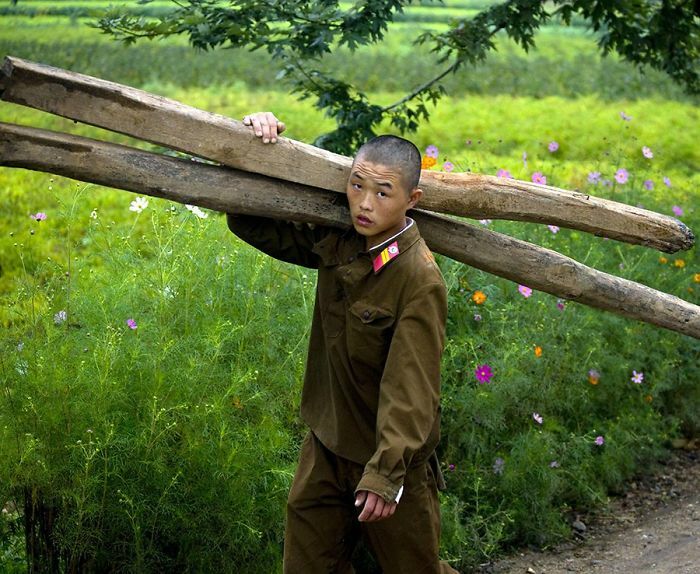 In North Korea, soldiers often assist local farmers and are barred from being photographed. 18. 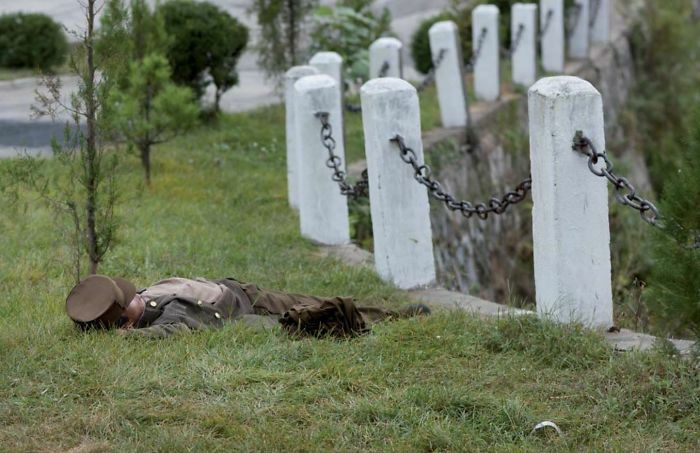 This soldier is sleeping on the grass, things like this cannot be known to the outside world. 19. 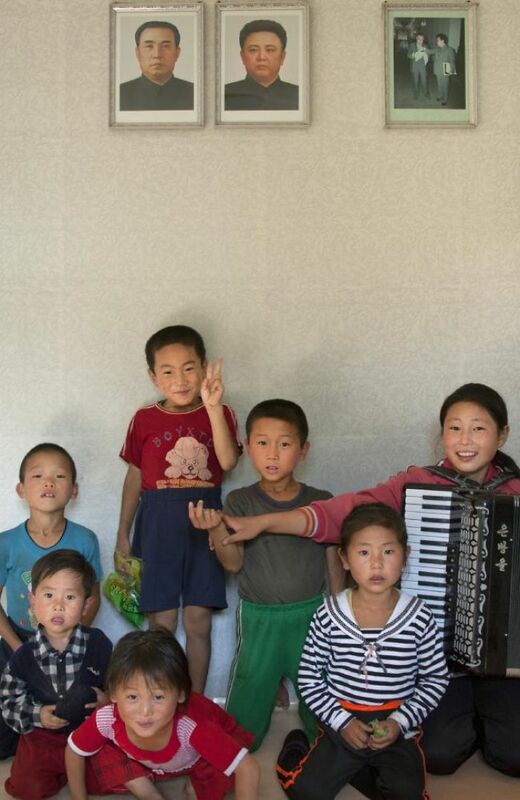 Wonsan Camp is to show young people in North Korea having fun. 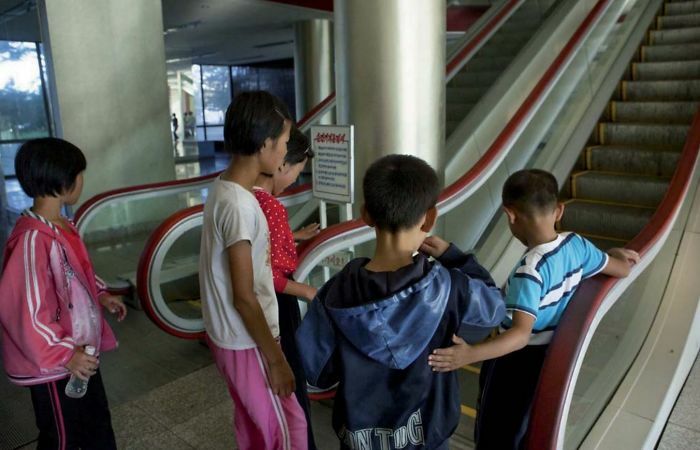 but, some kids come from the village and are afraid to use escalators because they have never seen it before. 20. 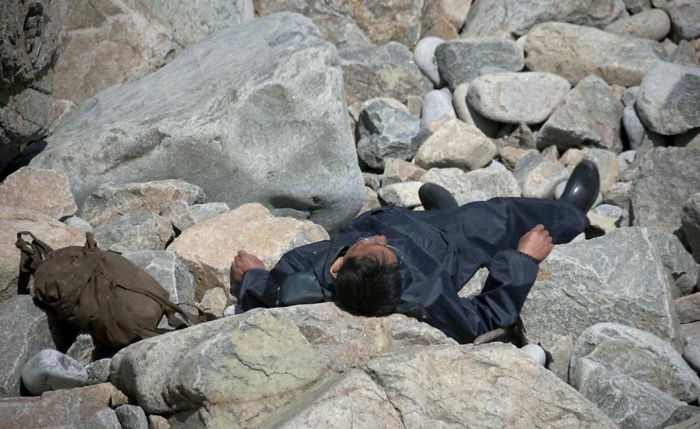 This man is resting on a rock on the edge of the Chilbo area. The photographer's guide told him to remove this photo for fear that the Western media calls this man dead, when in fact he is alive.